David Robert Joseph Beckham (born 2 May 1975) is an English former footballer. He has played for Manchester United, Preston North End, Real Madrid, Milan, Los Angeles Galaxy, Paris Saint-Germain, and the England national team for which he holds the appearance record for an outfield player. He was the first English player to win league titles in four countries. He announced his intention to retire at the end of the 2012-13 Ligue 1 season on 16 May 2013 and, on 18 May 2013, played his final game of his storied 20-year career. Beckham's professional career began with Manchester United, where he made his first-team debut in 1992 aged 17. With United, Beckham won the Premier League title six times, the FA Cup twice, and the UEFA Champions League in 1999. He then played four seasons with Real Madrid, winning the La Liga championship in his final season with the club. In July 2007 Beckham signed a five-year contract with Major League Soccer club Los Angeles Galaxy. While a Galaxy player, he spent two loan spells in Italy with AC Milan in 2009 and 2010. Beckham was the first British footballer to play 100 Champions League matches. 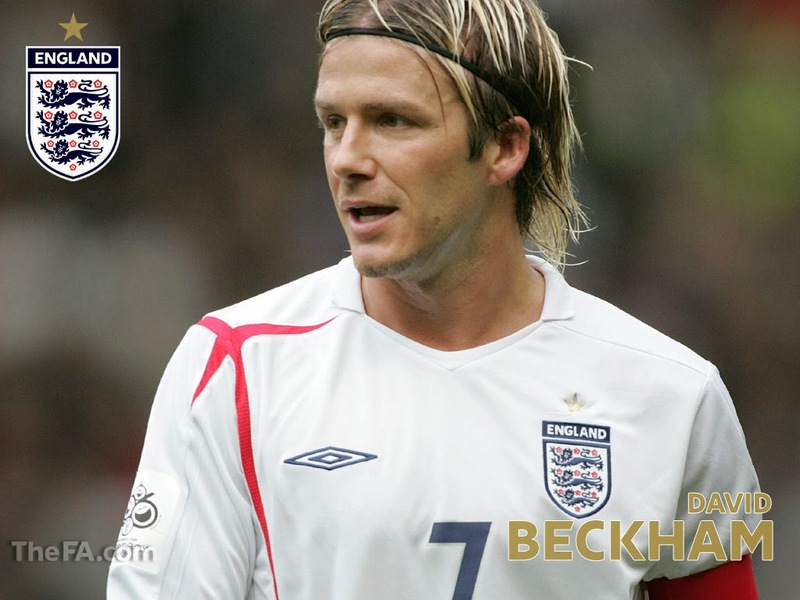 In international football, Beckham made his England debut on 1 September 1996, at the age of 21. He was captain for six years during which he played 58 times. He has 115 career appearances to date. Beckham has twice been runner-up for FIFA World Player of the Year, and in 2004 he was named as one of the Top 125 greatest living footballers as part of FIFA's 100th anniversary celebration. In 2004 he was the world's highest-paid footballer when taking into account salary and advertising deals. When joining MLS in 2007 he was given the highest player salary in the league's history of US$6.5m per year. He has been married to Victoria Beckham since 1999, and they have four children. In 2009, the couple's joint wealth was estimated at £125 million.